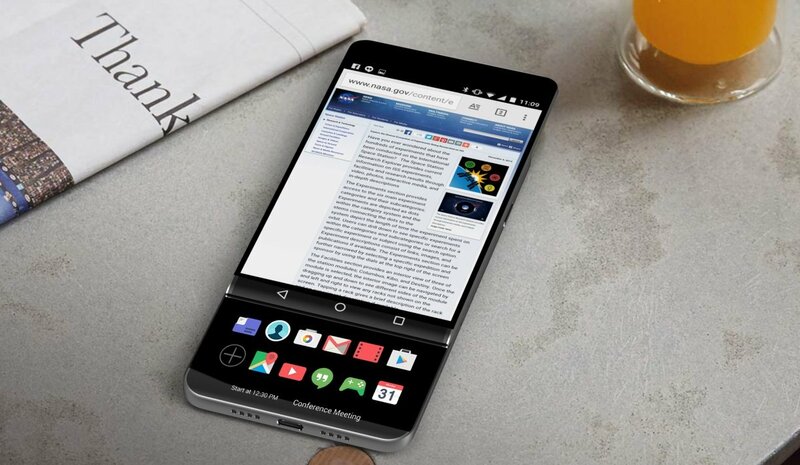 LG is planning to release a new version of its premium device to be dubbed the LG V30 in September. As reported by The Korea Herald LG will reportedly switch to OLED displays for next premium phone smartphone. While we wait patiently for an official lunch date, Evan Blass has some visuals of what’s reportedly the original concept of the smartphone. The device could also feature a slide-out secondary display. Evan Blass who’s a notable leaker a couple of images which he considered older mock-ups, so there’s a possibility we might or might not end up with a finished design with all this feature “Weekend Bonus: this is an old-ish mockup of Project Joan, a.k.a. 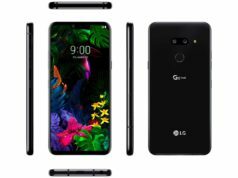 the LG V30. Not clear if the project is still headed in this direction.” The images show a secondary screen that can be accessed by sliding up the primary screen to reveal it. Other images show the practical use of the secondary screen being used for keyboard, search results, or additional controls that might otherwise obstruct what you’re looking at. 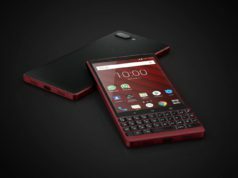 The device reminds of a BlackBerry PRIV with it’s sliding action but without a physical keyboard like the PRIV. I guess we’ll just have to wait till later this fall to see what new surprise awaits LG fans.